Memorial Park, is also home to Kids Kingdom, the Aquatic Center, along with wonderful picnic areas*. This park provides visitors with a place for youngsters play, relax and spend the day. The Aquatic center features a zero depth pool, huge water slide and grassy area for a day of family enjoyment. Here you will also find tennis and basketball courts. You can also access the walking path easily from the park. Rudy Klink Deer Park, sits next to the Trempealeau River and features playground, picnic area* and whitetail deer to enjoy. Schultz Park, adjacent to the Trempealeau River, right across from the canoe landing. The park has wonderful playground equipment and picnic areas*. Schank Park, This centrally located park features a Regulation Soccer Field and is home to the Joyce A Wanek Pavilion*. Fairfield Park, Locate on top of the hill, while all the other parks are downtown. This park is a nice little park to spend a short time playing. It features a half basketball court and playground equipment. 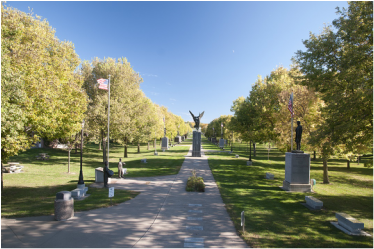 Pietrek Park, Located just 4 miles north of Arcadia on Highway 95 the park is situated along the banks for the Trempealeau River. The park features camping with hookups, hot showers, rest rooms, a canoe/tube landing and hiking trails and picnic areas. For more information on this Pietrek Park contact Trempealeau County, 715-538-2311. Featuring a collection of artifacts depicting the history of Arcadia and surrounding areas. See a large collection of native American artifacts, as well. There is also ad genecology research libary onsite. Open Fri and Sat. 10 - 4 or by appt. In March 1899, Arcadia's village board appropriated $200 for the establishment of the Arcadia Free Public Library. The library, housed in a room on the second floor of the village hall, opened to the public on July 25, 1899. At the onset, the Arcadia Free Public Library owned 539 volumes.In the early 1900's the increasing demand on the makeshift library prompted Frank Richmond, the secretary for the library board and an attorney in Arcadia, to request an appropriation from Andrew Carnegie to construct a separate library building. By Febrary of 1905, Andrew Carnegie approved a donation of $5,000 to construct a library facility in Arcadia. On July 9, 1907, the building was dedicated during an open house. The Arcadia Free Public Library was listed in the National Register and State Register of Historic Places on April 29, 1994. Arcadia which is part of Wisconsins driftless region, is popular for its rolling hills, spendid beauty and many activities the great outdoors offer in our area. 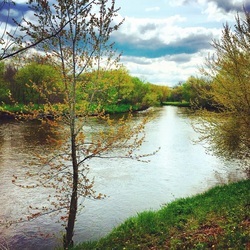 For some summer fun there is a larger list of things to enjoy in Arcadia water activity, the Trempealeau Rivers offers a quiet trip for both canoeists and tubers, as it winds throught the scenic countryside. In our winter months Arcadia liks with both Trempealeau and Buffalo County snowmobile trails for some of Wisconsins most scenic travel, offering elevations changes not found in most areas. Here you will also find something to our liking during any of the four seasons. Our countryside and bluffs offer great hunting for both whitetail deer and many other wild game.